Cakes by Lilly is a custom cake bakery located in Hebron, Connecticut, owned and run by Lilly Humphrey. We design fresh, delicious cakes perfect for any special occasion. All of our specialty cakes are baked from scratch, resulting in light, moist cakes every guest will enjoy.﻿ Lilly and our team of expert bakers have created sublime wedding cakes, birthday cakes, baptism cakes, First Communion cakes, baby shower cakes, and more that have thrilled and delighted our customers for years. We also make cookies, pies, and cupcakes. 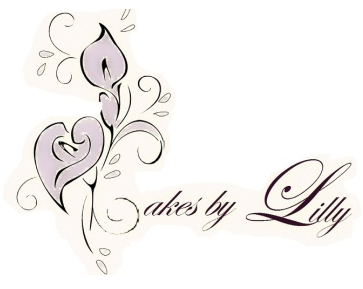 Lilly began baking and designing wedding cakes in Hebron, CT in 1988. She received the Best of Show Award at the Connecticut Icing Artist cake competition, and was a First Place winner at the Connecticut Chefs' Association. Several of her designs were featured in the 1998 film Amistad.